Keep your teeth and tongue safe from this sharp snack. 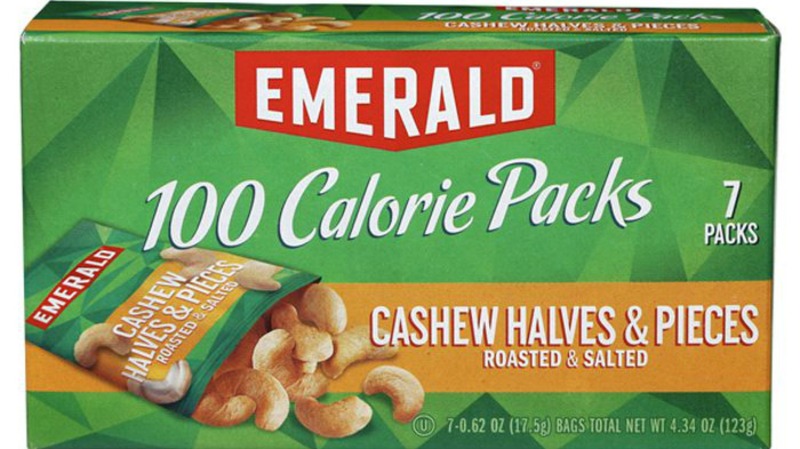 Snyder’s-Lance is recalling its Emerald 100-calorie packs of roasted and salted cashews because they may contain glass. Yeesh. The recall follows a complaint from a customer who says they found a piece of glass in their snack pack, and we really hope they noticed that glass before they popped it into their mouth. No injuries have been reported yet, thank goodness. Diamond is saying it thinks the glass may be from its supplier’s plant, but it is investigating. If you think you have one of these packages, you can contact Emerald via its website or call the company at 503-364-0399 between 8 a.m. and 5 p.m. Pacific Time, Monday – Friday.